LIVE VIDEO: FBI Press Conference On Mass Shooting - Joe.My.God. 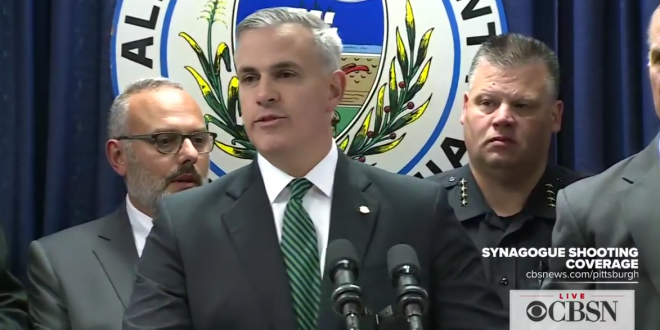 The FBI is set to hold a press conference at 9 a.m. on Sunday to give the latest information on the Pittsburgh synagogue shooting. Investigators said 11 people are dead after the shooting during a baby naming ceremony in a synagogue in the Squirrel Hill neighborhood. Authorities said four police officers were also injured during the shooting. Police said the suspect is 46-year-old Robert Bowers. The Pittsburgh man is facing 29 charges.